Welcome to the new generation of Australian imaging workflow solutions - Contrast Imaging Solutions. Proven cost-effective solutions that are ideal for any imaging centres that are looking at replacing a legacy or inefficient RIS and/or PACS system, or those making their first foray into the world of digital imaging. Contrast Imaging Solutions is committed to providing clear radiology workflow outcomes by building on and improving your existing processes with hardware, software, and most importantly with the right advice that only real on-the-ground experience can provide. Contrast Imaging Solutions has quickly become renowned for supplying process-effective imaging information solutions, not just products. We are about improving your workflow and know how important a fast, stable, integrated solution is to your radiology practice. Contrast Imaging Solutions is owned and run by practicing radiolology professionals and long standing radiology informatics professionals, so you can be assured that the Contrast Imaging community of professionals will be able to provide you with not just systems, but the right advice that gives you the 'Solution' to your workflow needs. Contrast Imaging Solutions is proud to announce its support for AREST CF – the Australian Respiratory Early Surveillance Team for Cystic Fibrosis; part of the Telethon Kids Institute. AREST CF seeks to improve the detection, prevention and treatment of early respiratory disease in young children with cystic fibrosis in order to improve clinical outcomes and quality of life for patients and their families. The AREST CF team is a collaboration of specialist paediatric cystic fibrosis centres in Perth and Melbourne. The ARREST CF team consists of over 60 doctors, researchers, scientists, research management and students dedicated to the improvement of respiratory health and outcomes in children with cystic fibrosis. AREST CF run a unique program aimed specifically at children under the age of seven years called The Early Surveillance Program. The program focuses on the assessment, treatment and prevention of cystic fibrosis lung disease in young children. Contrast Imaging Solutions is proud to donate its Contrast PACS solution to the AREST CF team. The Contrast PACS solution will enable the secure transport, storage and maintenance of CT images that are generated as part of the AREST CF research program. Monash Ultrasound for Women is a specialist ultrasound practice. It was established 28 years ago to provide an ultrasound service for the Monash IVF program and has since expanded to provide a full range of services in Obstetric and Gynaecological Ultrasound including Obstetric Ultrasound, Prenatal Genetic Testing, Gynaecological Scanning and Gynaecological Procedures. The director of Services is an Obstetrician Gynaecologist with college (RACOG) subspecialty certification in O&G ultrasound (COGU). The department is staffed by a team of experienced, highly qualified female sonographers and obstetrician gynaecologists. The Contrast ONE Womens Imaging Solution was selected by Monash Ultrasound for Women after a thorough evaluation of both local and international RIS and PACS options. Contrast Imaging Solutions was selected as a result of its superior understanding of Womens Imaging workflows and its ability to provide one complete solution encompassing the entire scope of their ultrasound business. Contrast ONE Womens Imaging Solution was also the only solution to offer advanced Womens Imaging functionality including the ability to MMS (send) obstetric images to their patients mobile phones, and provide advanced clinical reporting templates for sonographers and doctors alike. 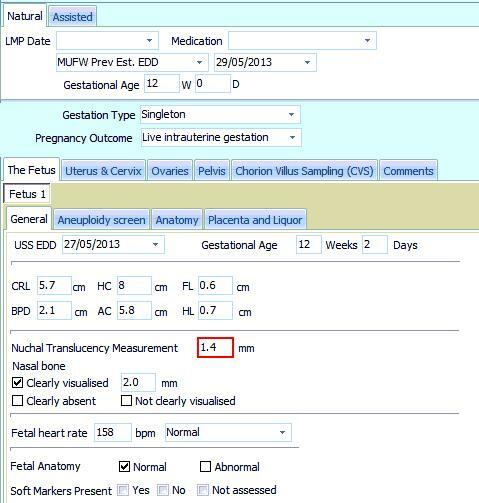 Measurements are automatically transferred from the Ultrasound to the reporting template providing a lower risk of transcription error and increased sonographer productivity. Preliminary Report content can also be pre-generated from the reporting templates saving valuable doctor time and reducing risks of error. Contrast ONE isn't just for Radiology - Obstetrics/Gynae practices love the Contrast ONE solution too! 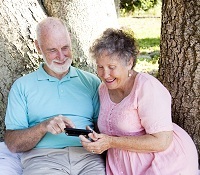 With its specialist Obstetrics and Gynae modules allowing automatic importing of measurements directly from your ultrasound equipment, easy sending of an image of one of your patients special moments in their lives directly to their mobile phone, and intelligent diagnostic report generation aids, Contrast ONE is the perfect solution for these workflows. Not only does your practice get all the advanced functionality of a modern, complete RIS PACS solution, but a company with the knowledge and experience to deal with all your specific workflows including requests for Maternal Serum pathology, risk factors associated with 12 week scans, genetic counselling workflows all built into the same easy to use solution. Camberwell Ultrasound for Women and Central Ultrasound for Women are two friendly specialist ultrasound practices offering a full range of ultrasound examinations to women of all ages, including obstetrical ultrasound, Down syndrome screening and counselling, amniocentesis, chorionic villus sampling and gynaecological ultrasound. 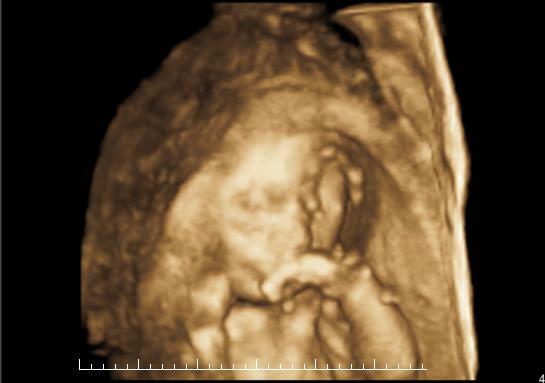 State of the art equipment is used, allowing fetal ultrasound assessment in 3D and 4D. Their services are provided personally by both male and female Obstetrician-Gynaecologists with a subspecialty in Ultrasound. Camberwell Ultrasound for Women is situated near Camberwell junction in East Hawthorn and Central Ultrasound for Women is located on the ground floor of St Vincents & Mercy Private Hospital in central Melbourne. City Imaging - Ultrasound for Women is a modern, friendly ultrasound practice on Victoria Parade in East Melbourne. They offer a full range of ultrasound examinations to women of all ages, including obstetrical ultrasound, Down syndrome screening and counselling, amniocentesis, chorionic villus sampling and gynaecological ultrasound. All ultrasound are performed by highly trained sonographers on state of the art equipment under supervision of Obstetrician-Gynaecologists with a subspecialty in Ultrasound.